This week, the Confederated Tribes of Warm Springs and the State of Oregon organized a Water Summit to bring together a wide array of people who have an interest in water management in our basin. Participants included representatives from the tribes, federal, state and local governments, as well as irrigation districts and members of environmental organizations and fishing interests. Panelists discussed the history of the basin, the current state of local rivers, wildlife habitat and water supply, how climate change will affect conditions in Central Oregon and how we can work together in the future to mitigate current and future challenges facing our region. 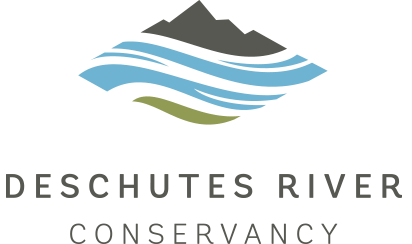 Deschutes River Conservancy’s Executive Director, Tod Heisler was asked to speak about flows in the Middle Deschutes and how they have improved over the past 15 years through projects and leasing programs in partnership with irrigation districts. “This was a valuable time spent with our partners and colleagues to have honest discussions that will help guide the complicated process of reforming water management in Central Oregon,” said Tod Heisler. Program Director, Kate Fitzpatrick was invited to present a summary of the Upper Deschutes Basin Study, a $1.5 million and three-year effort that examined regional water demands, water supply and the effects of climate change. “I am encouraged by the continued interest by so many parties in restoring the health of the Deschutes River and am hopeful that the information generated in the Basin Study will continue to be used to develop collaborative solutions,” said Kate Fitzpatrick. The Water Summit closed with a tribal prayer from Warm Springs Chief Delvis Heath and Tribal Council President Austin Green for wisdom in caring for our local water – the most important priority for the Tribes, and for us all. Previous article: What Happened to Wickiup?